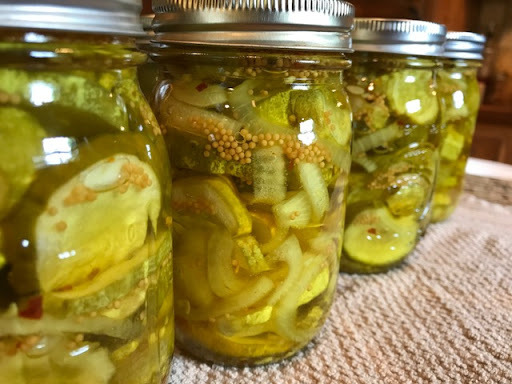 When I first began canning, I thought I needed ENORMOUS amounts of food to be efficient in the process. That’s probably because I grew up in a home where “bushels” were the norm, rather than a few pounds. I have since learned that this is not true! Even if you have small amounts, canning can be beneficial for you and your family. 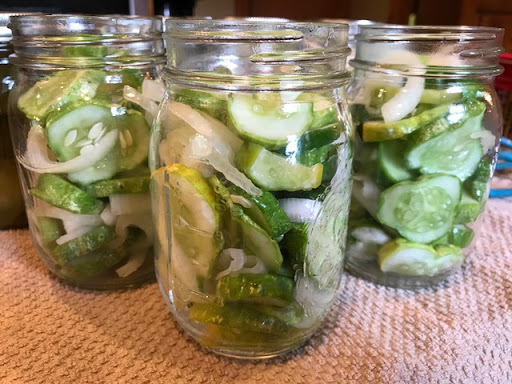 This recipe is a good example of preserving a few pounds of cucumbers that will be a blessing to your family in the winter months. Place the cucumbers, onions, salt, and water into a non-reactive container and let sit for 2 hours. Drain the mixture, rinse thoroughly for a few minutes. Let the mixture sit in a colander to drain for several minutes. 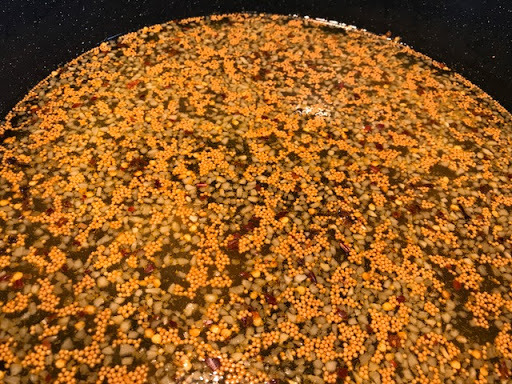 Mix the remaining ingredients into a large pot. Bring to a boil and add the cucumber mixture over a medium heat. When it comes to a simmer, remove the pot and pack the cucumbers into sterilized jars. Pour the liquid over the cucumbers to attain a 1/2 inch headspace. Place the sterilized flats and rings on top and process in a boiling water bath canner for 10 minutes. Remove and let sit for 24 hours before removing the rings. These should sit for 2 weeks before eating to allow time for everything to mix and mellow.